/ What are the best battle ropes to buy? Battle ropes can give you an amazing work out and they’re surprising a good choice for a home gym too. 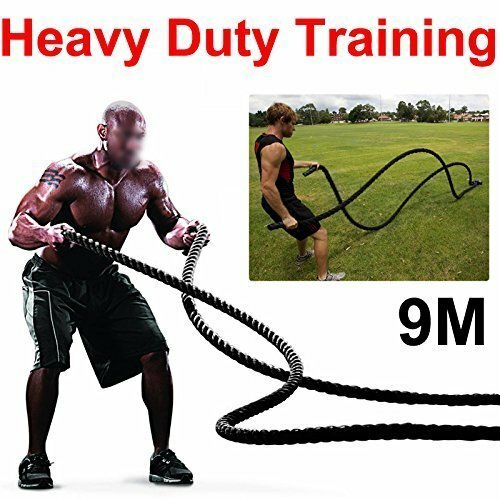 So if you’re considering getting some, what are the best battle ropes to buy? 1 What are battle ropes used for? What are battle ropes used for? 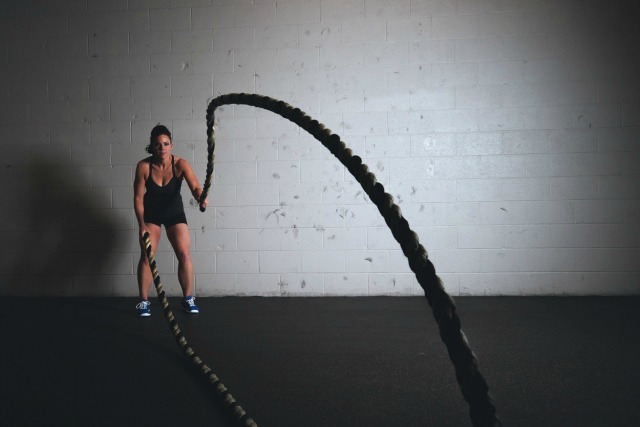 Battle ropes are great for strength training and for getting your heart rate up. They are used in gyms, as part of cross fit and can help to give a more rounded work out as well as making it a bit more interesting for you. They are a really versatile bit of kit and there are lots of different exercises that you can use to work different muscle groups from your upper body to your arms and glutes. Battle ropes need to be durable so that’s the first thing you need to check. You’re going to be slamming them around, looping them around poles or a tree perhaps and giving them quite a work out! So they need to be heavy duty and able to withstand it. Now any battle rope will probably feel sturdy, after all they are quite a big rope, but you’ll find that many fray under intense use. The best way to check the durability is to seek out reviews from people after they have been in use for a while. Size is another thing you need to consider. The space you have will dictate what ropes you can get, but also it affects the weight of the ropes too. If you’re a newbie to training then a smaller and lighter rope might be better to start with. 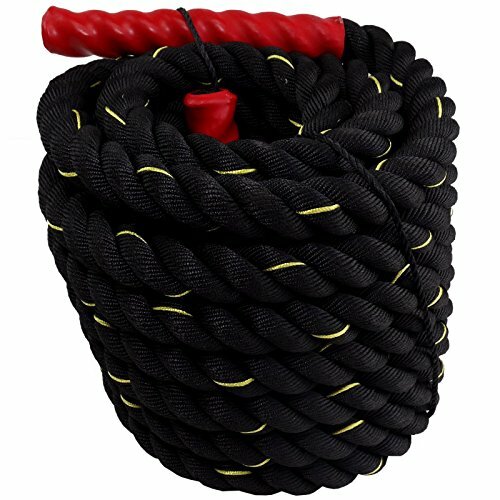 This rope from Tinkertonk is 9m long and is my top choice for battle ropes. It’s not too expensive and it really makes a great starter set. The only thing I don’t like is that there’s no choice of a longer rope but for home use a 9m rope does the job quite well. It’s made from polyester Dacron and it’s a really solid feeling and durable rope. Even after lots of use there are positive reviews on Amazon about this item so I think it’s definitely the best one out there. The rope is 9m/29ft long with a 38 mm diameter and it weighs 7kg. This item from Hardcastle is available in 2 different sizes – either 10m or 15m long with a 38mm diameter. It’s made of a really strong polyester which means it shouldn’t fray as much as natural fibres. As with most of the battle ropes it does suffer a little with fraying after a bit of use obviously depending on how you use them. They do seem very durable though and I suspect these will still last some time. If you’re looking for a longer rope then this one at 15m long is another good buy. As with many of the ropes it does suffer from fraying with use, but that depends on what it’s anchored or looped round. It’s made from manilla and comes in a nice red and black colour way which sounds like it shouldn’t matter much, but at least you shouldn’t get it mixed up with someone else in the gym! The length is 15m and weighs around 15kg. If you don’t have anything suitable to use to anchor your ropes then you’ll be needing either a wall or ground anchor. 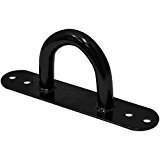 Made of really tough, heavy duty steel this wall anchor is a simple design yet is perfect for attaching to a wall or to a concrete garage floor to provide a permanent looping point. It also comes with all the fixings that you’ll need. 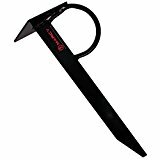 If you need something not so permanent and have some space in the garden to work out then this ground anchor is a great choice. It can be fixed in concrete to be more permanent if you need that but if you rent and can’t do that, or you just want to try it and see how it goes, then just putting it in the ground at an angle should be good – you might need to readjust it every so often and after wet weather though.